I’m only just home and we have hit the ground running. 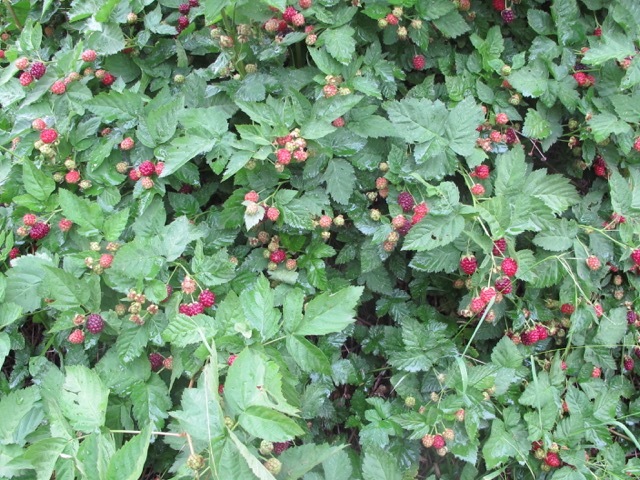 It’s the end of spring, almost the beginning of summer and the garden is bearing fruit. Well, the orchards are. The vegetables are a little way behind, as all the small seedlings are annual and need time to grow on. Whereas all the orchard trees, being perennial, are well established. All those years of preparation; fertilising, mulching, pruning and irrigating have been worth it. It was mostly dry while we were away and has been very dry since our return, with only 8 mm. of rain in the last month. Not enough to swell up the fruit very much, but ideal warm to hot weather for ripening and no sign of mould or fungus anywhere. The Sherman peaches are small, but the crop is quite heavy. The early peaches have started, as have the cherries. There was a time back in the seventies, when cherries were the earliest fruit, but now it is the earliest peaches. 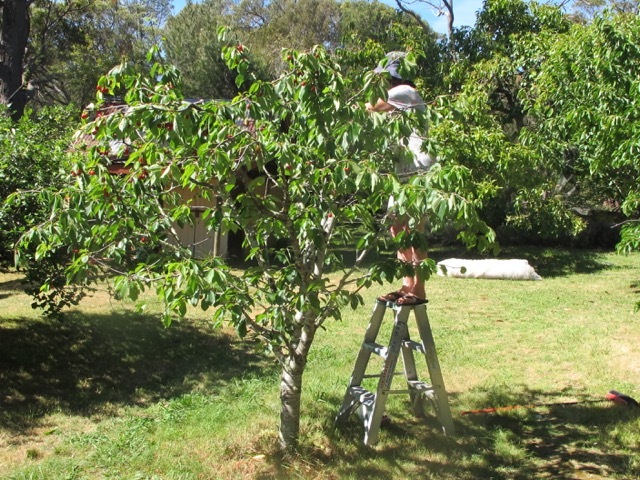 We have always chosen the very earliest varieties of each type of fruit tree variety for our orchards. However, over the decades, new and earlier varieties have become available, so when a tree fades away or dies of old age we replace it with another one. The earliest variety available at that time. This has moved the fruit harvest forward a month or two, especially when you consider the extra push from global warming. 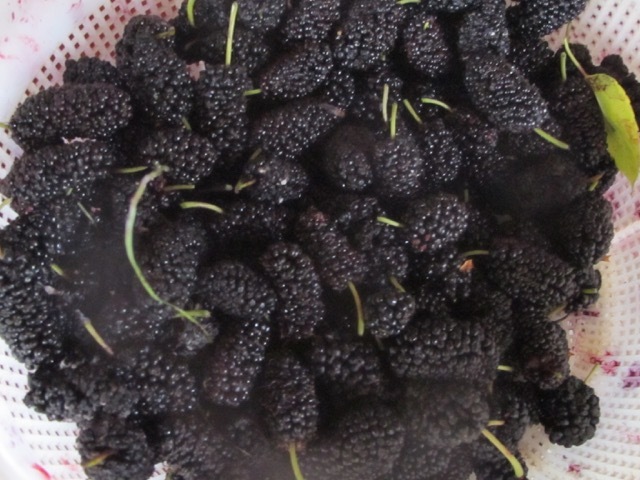 We used to pick the very earliest young-berries just in time for Xmas day. Going around and picking the very earliest and ripest berry off each cane. Now, the full harvest is all over before Xmas. These are the same canes. We haven’t replaced them with new varieties. It just the effect that the increase in global temperatures are having on the fruit trees, vines and canes. 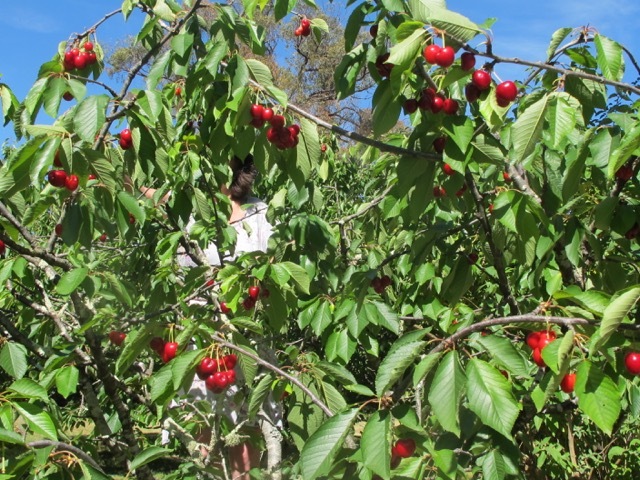 So now we are picking the earliest peaches as well as mulberries, cherries and youngberries. It all has to be dealt with and it takes time. We can’t eat it all now. So we preserve most of it for later in the year. 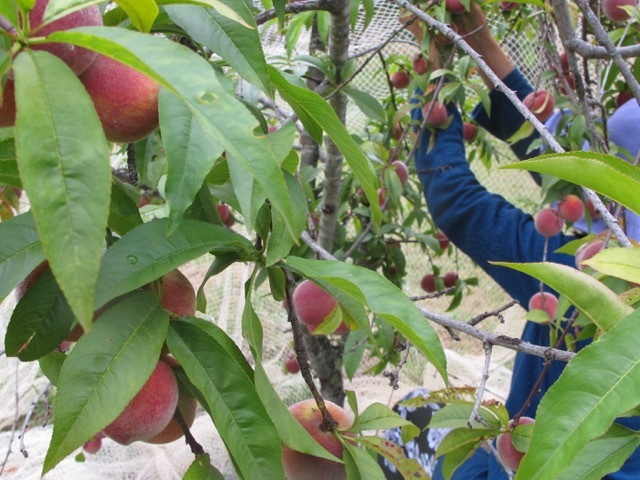 We don’t have any preserved peaches left from last year, so we can’t wait to taste that beautiful mix of sweetness and acid that the fresh fruit delivers. 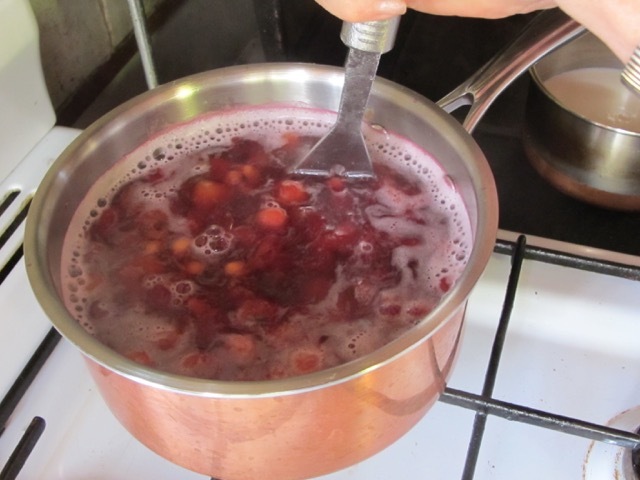 Janine makes cherry jelly by boiling the fruit just covered with water and simmer for 10 mins. 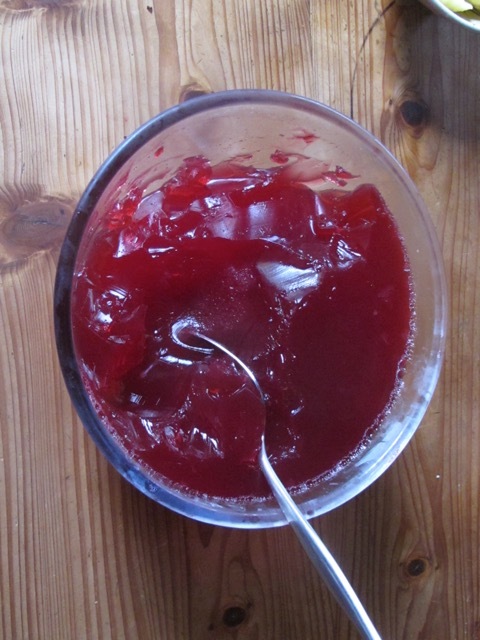 The fruit is mashed to extract flavour and colour, then sieved into a setting bowl and a table spoon of gelatine is stirred through and dissolved. You can add a little sugar if you have a sweet tooth. 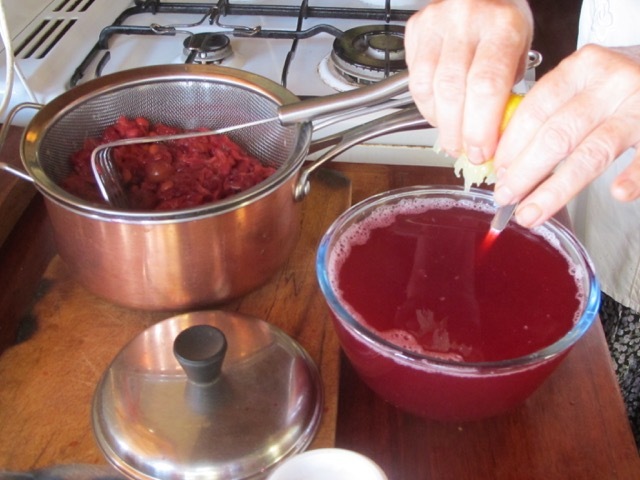 Lastly she adds a squeeze of lemon and allows it to set. Once cool, it goes into the fridge to chill for dinner. 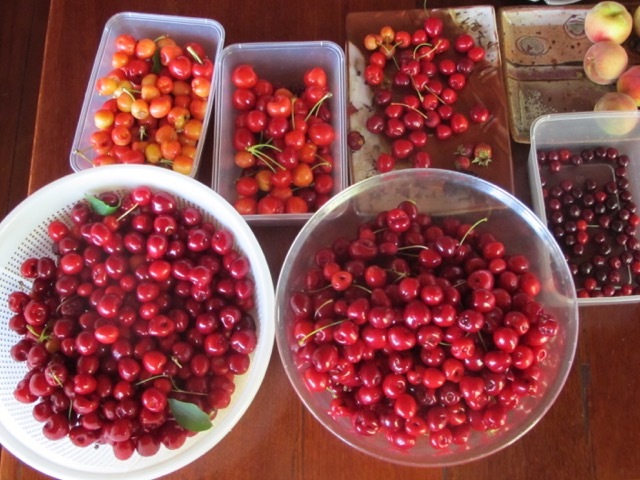 We get stuck in and eat a lot of the cherry crop each day for breakfast, just standing under the tress, chewing and spitting, but there comes a time when the yield exceeds our appetite, so the The Lovely Garden Goddess, Miss King of the Kitchen, steps in and starts to cook up a treat or two. 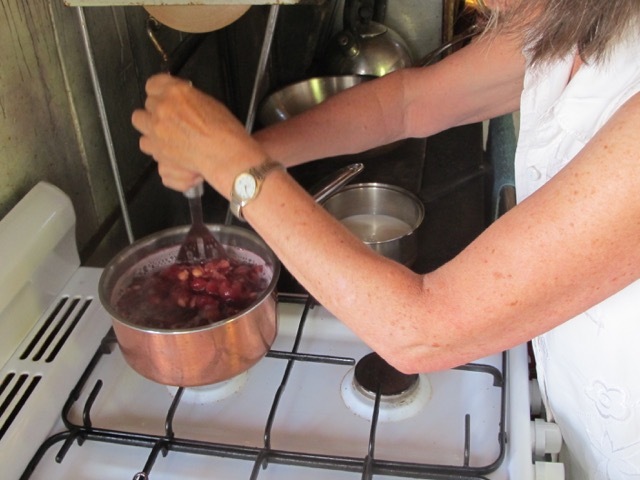 She starts by making a cherry jelly, followed by berry pie and berry pudding. 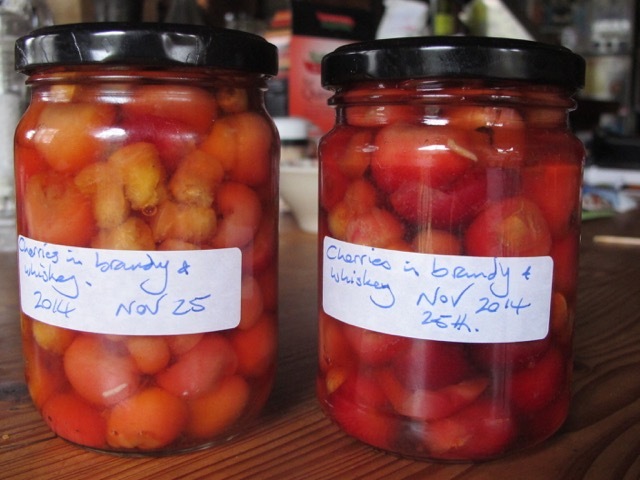 I make a couple of jars of cherry brandy. 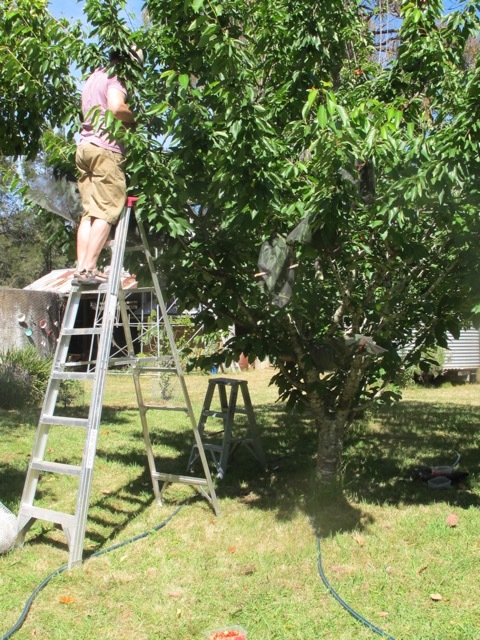 We pick, peel and stew peaches for freezing and also pick and bottle youngberries. It’s all full-on busy. 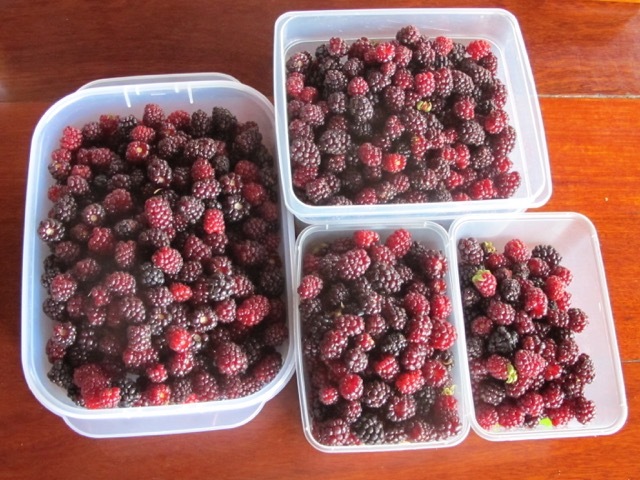 We picked over 3 kgs of youngberries this morning. 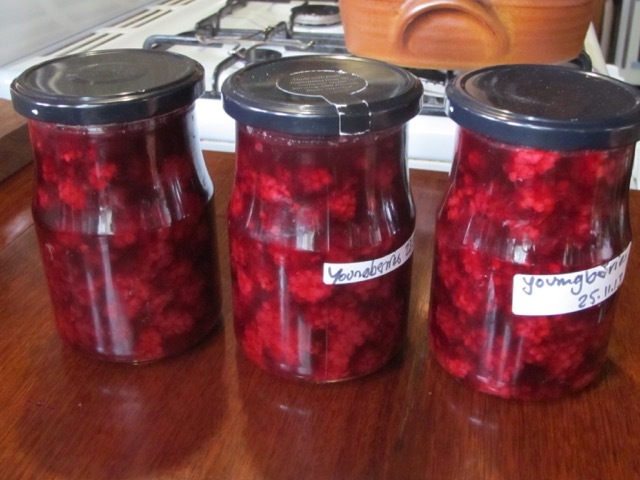 Last year we picked 20kgs of berries in the season and bottled about 20 jars of them. There are just 2 jars left in the larder now. Perfect timing. 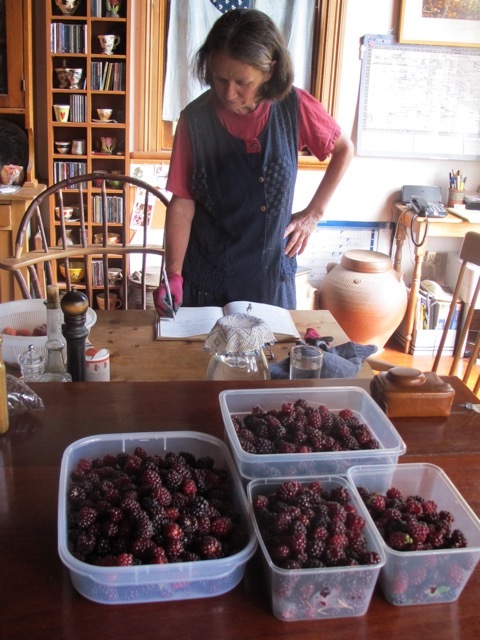 The Kitchen King up-dates her garden diary and preserving log. I have a couple of kilns to build. So after the mornings fruit picking, I left Janine in the kitchen, making pies and went down to the kiln shed to finish work on a stainless steel kiln frame. This one has to be delivered before Xmas and another kiln frame has to be got off to the galvanisers as early as possible, so that it will be galvanised before the factory takes their Xmas/New Year maintenance shut down over January. I need to be working on that kiln early next year. Everything needs to be planned and given a suitable space within the framework of our self-reliant life choices. 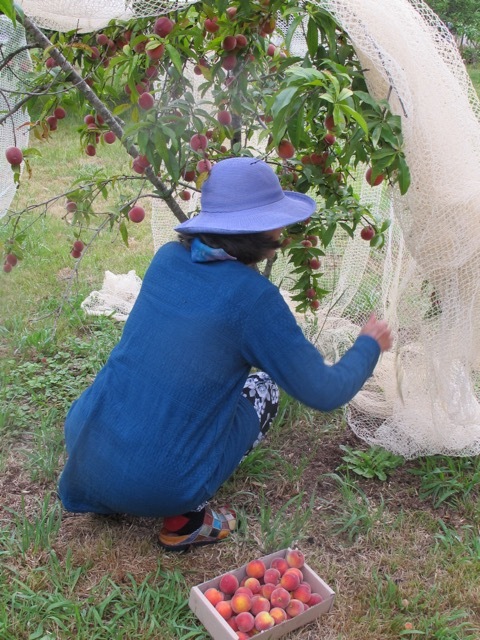 It is quite a full time job, just working in the gardens and orchards, but we also need to earn a living as well. Something has to pay for the up-keep of all this effort. Regrettably, sales of pots isn’t going to cover it. We live a fantasy life with-in the real world economy. But every now and then I have to do something that will earn enough money to pay the Council Rates, the insurance and car registration etc. etc. It’s a juggling act, keeping it all together. 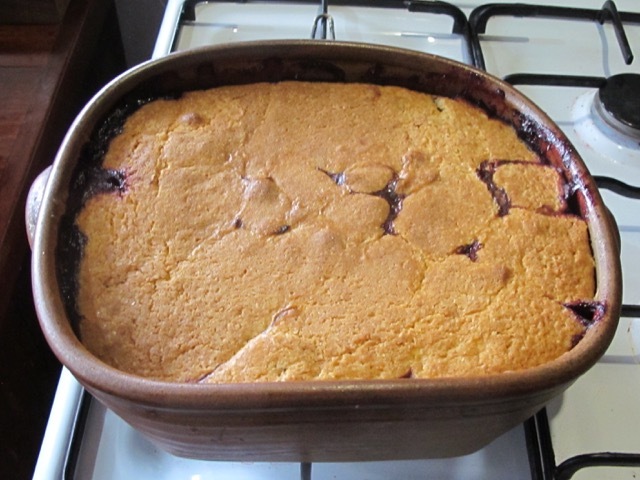 I come back up to the house and the sweet, tangy smell of berry fruit sponge pudding wafts into my nostrils. I can’t wait for dinner! 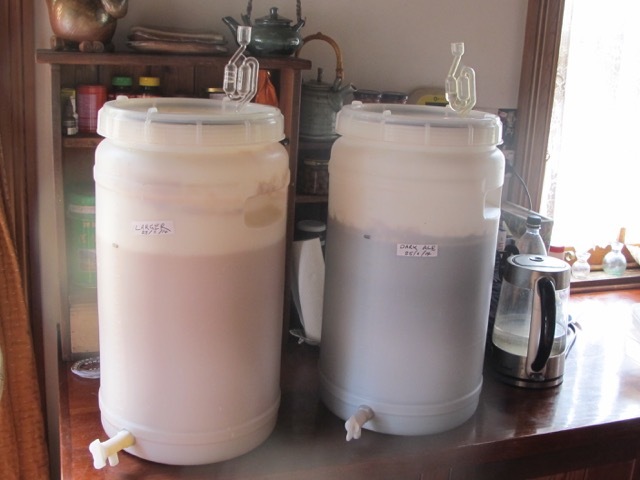 Later in the evening I put on a couple of batches of beer, as we have almost run out of last summers bottling, with only half a dozen bottles left in the cellar. Perfect timing. We can’t do everything, but we do what we can. I love this time of year. I don’t get time to make any pots, because I’m making the time to preserve a lot of food for the rest of the year. This is a precious opportunity just too good to miss. It’s how we have chosen to live our self-reliant life. Best wishes from the perfectly timed, self-reliant King of the Kitchen and her juggler .